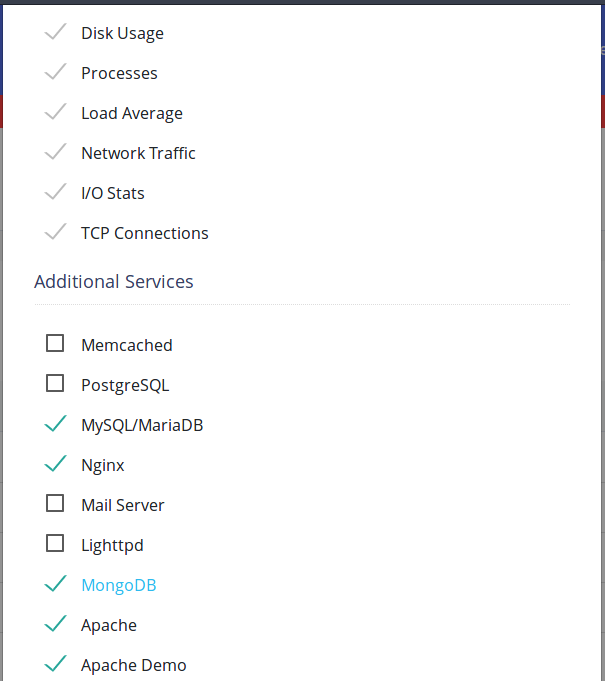 In the Web App, click on the Manage Servers Menu. By checking or unchecking, you can enable / disable the monitoring of Additional Services. Note : Upon Disabling an additional service, all its collected data & the set-alerts will be deleted.